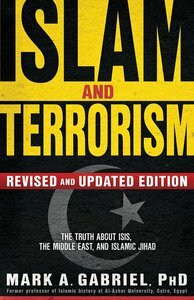 For the readers of this book, the motive behind Islamic world activity will no longer be a mystery. Each action is rooted in the philosophy of Islam. Now both the Christian and the political world must decide how to react to Muhammad's revelation. Mark A. Gabriel, PhD, grew up as a devout Muslim and is a former professor of Islamic history at Al-Azhar University in Cairo, Egypt, the most prestigious Islamic university in the world. He was also a former pupil of the first World Trade Center bombing mastermind, Sheikh Omar Abdul Rahman. As a practicing Christian for more than a decade, he has earned a master's degree in world religions and a PhD in Christian education. He travels and lectures for a variety of groups all over the world.